From nights in London to independent and escorted tours to explore everything from Lands End to Duncansby Head Lighthouse, let us customize your travel to the UK. Cornwall, Norfolk, the Lake District, the Highlands, the Isle of Skye, are all breathtakingly beautiful places off the beaten path and should be on any itinerary here. Our London and B&B's package lets you explore at your own pace according to your own plans. 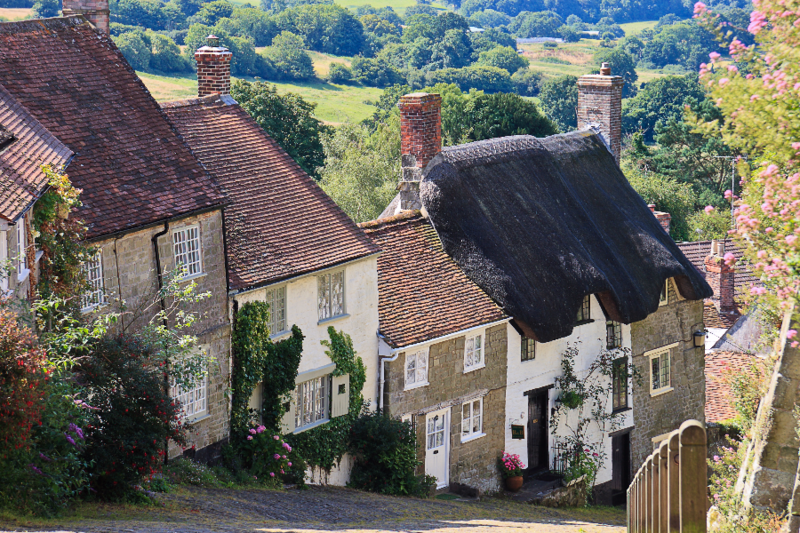 ​Your very own English adventure! Choose a 6, 7 or 8 night holiday. You won't want to miss the magic of Edinburgh Castle, the jaw dropping vistas of Loch Lomond or maybe a sighting of the Loch Ness monster, if you're lucky! Scotland is the original home of golf, offering visitors the chance to take a swing at the world famous St. Andrews Links. Experience the Scottish heritage that soars far beyond bagpipes into the inspiring scenery and flourishing cities including Edinburgh, Glascow and beyond! Summer Highland Games Throughout Scotland Offering a unique combination of culture, sport and social entertainment, this is a true Scottish experience. The Games feature athletes gathering for tug-o-war, track and field and caber tossing competitions. August Edinburgh Military Tattoo, Edinburgh Hundreds of thousands of spectators gather at the esplanade of Edinburgh Castle to watch marching bands strut their stuff for charity, and enjoy nightly pyrotechnics a son et lumier show and a fireworks display. Enjoy this self drive 7 night vacation with luxurious accommodations in Edinburgh, Aberdeen, the Scottish Highlands and Argyll. Includes: round trip airfare to Edinburgh from JFK, automatic car rental for the duration, 7 night accommodation in manor house and castle hotels as listed or similar, 1 night at the Royal Scot Club in Edinburgh, 1 night at the Norwood Hall or Raemoir House in Aberdeen, 2 nights at the Mansfield Castle or Knockomie House in the Scottish Highlands, 2 nights at the Stonefield Castle or Knipoch House in Argyll, 1 night at the Houstoun House in Edinburgh, The Scottish Heritage Pass and breakfast daily. *Price shown is per person based on double occupancy, pricing is date sensitive and some airline taxes are additional. Call today. Edinburgh, deservedly ranks as one of the most beautiful cities in the world. From the historic old town with its cobblestone streets and narrow streets to the Georgian architecture of New Town. No other cities hosts as many festivals throughout the year as Edinburgh and it August it features possibly the greatest festival in all of Europe with the Tattoo, a showcase of music, drama and dance. Come see the Edinburgh Castle and the Royal Mile, National Gallery of Scotland, Royal Museum and Museum of Scotland, New Town, Calton Hill, Our Dynamic Earth, Royal Botanic Garden, Scottish National Gallery of Modern Art, Edinburgh Zoo, just to name a few.